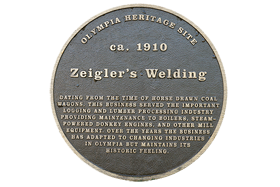 Zeigler’s Welding Inc., has been serving Olympia, Thurston County and the greater Puget Sound area since 1927. Located in the same building for over 90 years, the experts at Zeigler’s have been striving to achieve quality, professionalism and creativity in every job they do. From smaller repairs to large structural jobs, customer satisfaction is foremost. Let our team help you with your next project! The creative work of the talented Zeigler's crew can be seen throughout the Hands On Children's Museum! Whether it's a specialty fastener to secure a 100-year-old Yew Tree, a custom lookout cage for the Lighthouse exhibit, or welded railings for a visiting pirate ship, they can do anything! 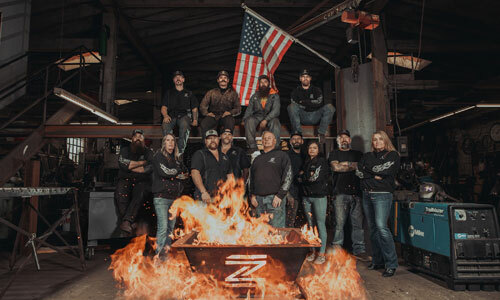 Thank you Zeigler's team for supporting Hands On with high quality, affordable welding.